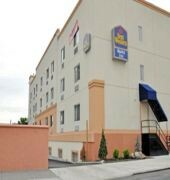 Welcome to the BEST WESTERN Bronx Inn where guests will find friendly customer service and comfortable accommodations at an affordable rate. 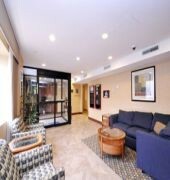 Located just minutes from the heart of New York City, this hotel offers 65 well-appointed guest rooms. Each guest room features a 32 inch flat screen television with cable satellite television and free wireless high-speed Internet access. Hotel guests are welcome to enjoy a complimentary continental breakfast each morning before taking advantage of other hotel amenities including a fitness center and full-service business center. The BEST WESTERN BRONX INN is a Tourist hotel. Located in City Centre area. Shopping is right next door and the nightlife/restaurants are located in the hotel. 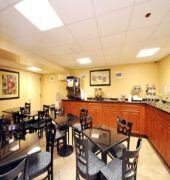 Descriptionclass="small" style="text-align: justify; font-size:11px;">Welcome to the BEST WESTERN Bronx Inn where guests will find friendly customer service and comfortable accommodations at an affordable rate. 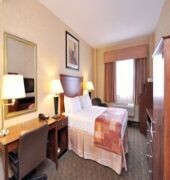 Located just minutes from the heart of New York City, this hotel offers 65 well-appointed guest rooms. Each guest room features a 32 inch flat screen television with cable satellite television and free wireless high-speed Internet access. 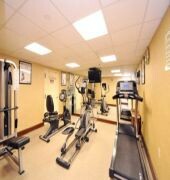 Hotel guests are welcome to enjoy a complimentary continental breakfast each morning before taking advantage of other hotel amenities including a fitness center and full-service business center.